A domestic dispute turned bloody when a husband pulled a gun on his wife. Roosevelt, NY - December 21, 2013 - The First Squad reports an arrest for Assault which occurred on Saturday, December 21, 2013 at 2:23 P.M. in Roosevelt. According to detectives, Brian Martin, 36, of 31 William Street, Roosevelt, during a domestic incident with his wife, 39, at their home, shot her once causing several injuries and fractures to her face area. The victim was transported to an area hospital where she is being treated for her injuries. She is listed in critical but stable condition at this time. Martin was placed under arrest at the scene without incident. The gun was recovered at the scene. Martin is charged with Assault 1st degree and Criminal Use of a Firearm 1st degree and will be arraigned on Sunday, December 22, 2013 at First District Court in Hempstead. 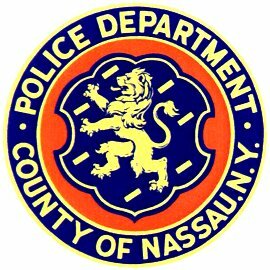 Subject: LongIsland.com - Your Name sent you Article details of "Nassau Police Arrest Man Who Shot His Wife"